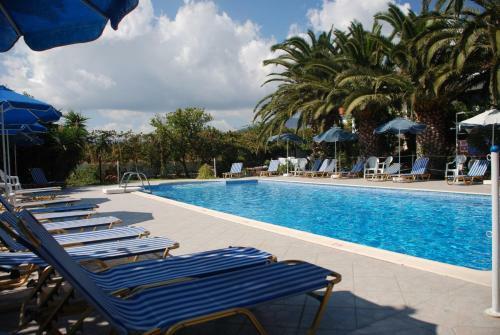 Villa Anna in Pythagóreio is a small-scale hotel with 14 Rooms. 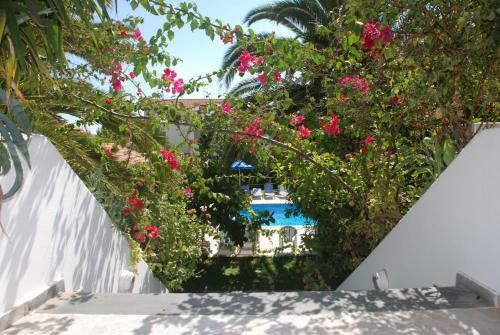 Set amidst a lush garden with palm trees and colourful flowers, Villa Anna features a pool with a poolside bar. 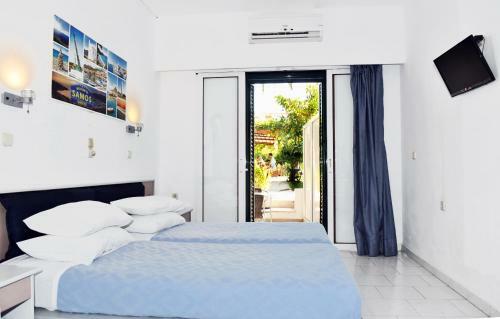 Its air-conditioned studios open out to private balconies or patios with pool or garden views. The town of Pythagoreion is 1.5 km away. 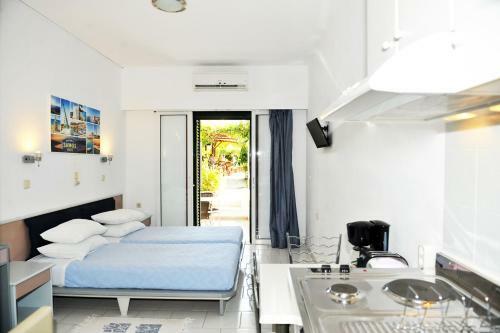 The spacious studios at Anna will provide you with a LED TV and a fridge. Each kitchenette comes with an electric kettle, toaster, coffee machine and kitchenware. Featuring a shower, private bathrooms also come with a hairdryer and cleaning products. A...t the poolside bar, you can enjoy a variety of Greek snacks, drinks, local wines and cocktails. BBQ evenings are also organized regularly. 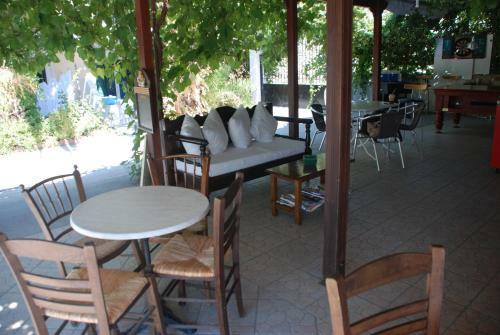 Traditional restaurants and cafes can also be found at the nearby Pythagoreio Town. Pool competitions and other events take place occasionally, while beauty treatments, as well as boat trips around the island can be arranged upon request. Free Wi-Fi and free on-site parking are provided. The beach of Potokaki is at 800 metres. Samos Airport is only 1 km away. Set amidst a lush garden with palm trees and colourful flowers, Villa Anna features a pool with a poolside bar. 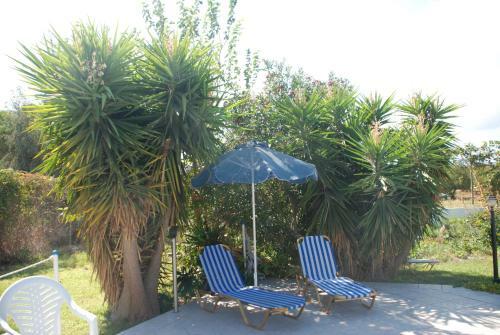 Its air-conditioned studios open out t...o private balconies or patios with pool or garden views. The town of Pythagoreion is 1.5 km away. 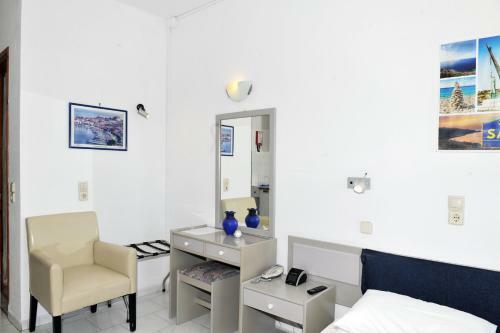 The spacious studios at Anna will provide you with a LED TV and a fridge. 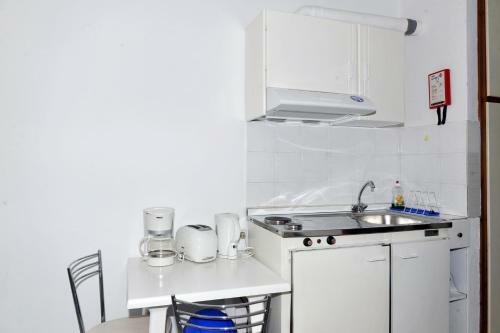 Each kitchenette comes with an electric kettle, toaster, coffee machine and kitchenware. Featuring a shower, private bathrooms also come with a hairdryer and cleaning products. 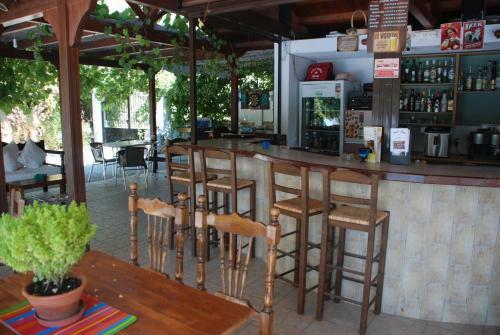 At the poolside bar, you can enjoy a variety of Greek snacks, drinks, local wines and cocktails. BBQ evenings are also organized regularly. 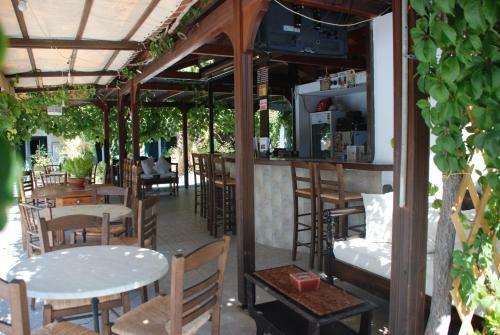 Traditional restaurants and cafes can also be found at the nearby Pythagoreio Town. Pool competitions and other events take place occasionally, while beauty treatments, as well as boat trips around the island can be arranged upon request. Free Wi-Fi and free on-site parking are provided. The beach of Potokaki is at 800 metres. Samos Airport is only 1 km away. Children and extra beds All children under 2 years stay free of charge for children's cots/cribs. 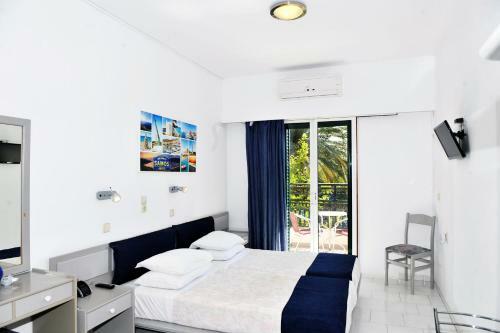 All children under 12 years are charged EUR 15 per night for extra beds. The maximum number of extra beds in a room is 1. Supplements are not calculated automatically in the total costs and will have to be paid for separately when checking out. Any type of extra bed or child's cot/crib is upon request and needs to be confirmed by the innkeeper. Please note that studios are cleaned daily except Sundays.